In a glance, a product on the shelf should visually speak to you. labels should quickly convey the different product varieties. 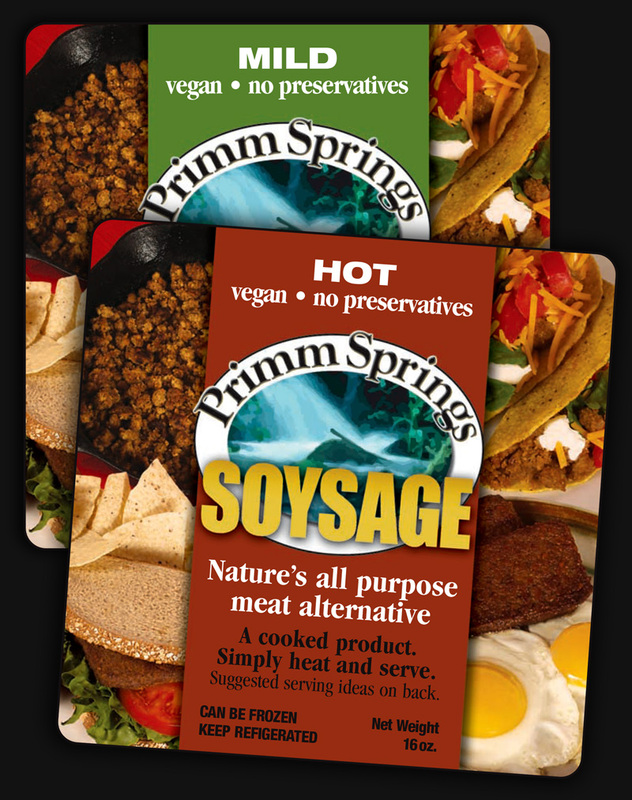 Primm Springs Soysage Packaging Labels • Ncutt shot original photography to show the multiple uses for Soysage. A unique color scheme was created for each product – MILD was depicted by a soft green color while HOT was spiced up in warm chili red. creative value: Visuals convey faster to only 60% of the population — highlight first glance words for the 40% readers.